In the world ofintegrated project delivery, most of the attention is focused on the design phases of the project. After all, that is the time period when the bulk of documentation and coordination occurs and when systems, materials, and products are selected. It is when designers spend the most amount of time working with engineers and consultants to create a high performing, synergistic building. Just because the drawings are approved does not mean design stops. The contractor may discover field conditions that require creative solutions. The client may make decisions that alter the design direction. The local inspector may report issues that necessitate quick and innovative revisions. All of these cannot be resolved in a vacuum. They require clear and consistent communication among all parties involved. All the while, there is the ever-present need to meet the daily scheduling and budget constraints. As I learned during my time assisting with the construction administration of the recently opened McBride High School, the approval of the project by the local governing agency certainly does not mark the endpoint of integrated design. Far from it—as construction starts, an even more communal workflow arises, which encompasses the contractor and subcontractors brought onto the job and a more intimately involved client whose decisions have immediate weight. For example, a previously overlooked interference between a duct and a beam would require the structural engineer to study if the beam can be safely altered to accommodate the beam. If not, the ducting might be re-routed, which requires input from the mechanical engineer and might impact the ceiling design. This would bring an interior designer into the fold to study appropriate alternatives, and the resulting changes could impact lighting and fire sprinklers and other ceiling components. My experience with McBride High also taught me the value of working together with the contractor and their subcontractors to determine the best courses of action. There have always been stereotypes about the adversarial relationship between architects and contractors, and indeed, it can sometimes be complicated to reconcile the priorities of both groups. But it is always valuable when the two can draw upon each other’s strengths to quickly find a middle road to arrive at the best solution. I found it incredibly rewarding whenever I was able to save time and improve efficiency by directly meeting with a contractor or subcontractor to look at the issue at hand, mutually brainstorm through possible options, and then select the most favorable. It’s really no different than working with consultants during design, except the results are immediately tangible. 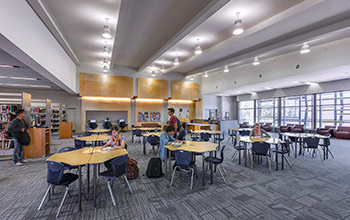 Communication with the client is equally important, especially in K-12 school design, where such decisions have long-term effects on the students and teachers that will occupy these spaces in the decades to come. A solution favorable to the architect or the contractor but conflicts with district priorities is not acceptable. Thus, constantly keeping the client informed of issues and progress is key to maintaining the schedule and avoiding rework caused by the client’s dissatisfaction. Ultimately, the same principles applicable to the integrated design process—regular meetings with all parties, clear and open communication and collectively developing solutions based on valued input from multiple disciplines prove to be equally—if not more—effective during the construction process. It was eye opening for me to see the often-intense amount of collaboration necessary once things were coming out of the ground. In hindsight, it all seems rather obvious. It always takes a team to get the job done, and there’s no sense in abandoning that philosophy just because the project has moved past drawing. The continuous joint effort from the architect, engineer, contractor and client was instrumental in achieving the successful project, McBride High School. And though we all certainly encountered moments of challenge, we were able to work together to create a school that will enrich the lives of its students, teachers and community. Albert Lam is a Project Coordinator at California-based LPA Inc. 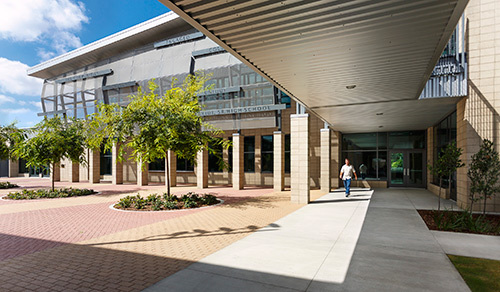 He is a LEED accredited professional who specializes in the design and implementation of K-12 schools. 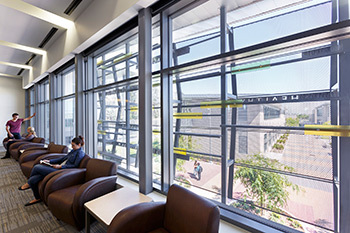 This entry was posted in Industry News, Industry Resources and tagged architect, contractor, engineer, high performing, LEED Accredited, synergistic building. on February 7, 2014 by setpointsystems.